Emma Roche (fl, baroque fl), Matthew Studdert-Kennedy (fl), Nick Fells (shakuhachi), Daniel Padden (cl,voc,perc), Nicola MacDonald (voc), Pete Dowling (as), Raymond MacDonald (a&ss), Graeme Wilson (t&bs), John Burgess (ts,bcl), Robert Henderson (tr), Matt Cairns (tr), George Murray (trb), George Burt (g), Neil Davidson (g), Peter Nicholson (cel), Una MacGlone (db), George Lyle (db), Mike Travis (dr), Bill Wells (keys), Maya Homburger (baroque v), Barry Guy (db) The third recording from one of the most exciting groups in Scotland! GIO have amassed performances with Evan Parker, Maggie Nicols, Keith Tippett and John Surman and now here are some stunning dialogues with the worlds greatest virtuoso bass player Barry Guy! 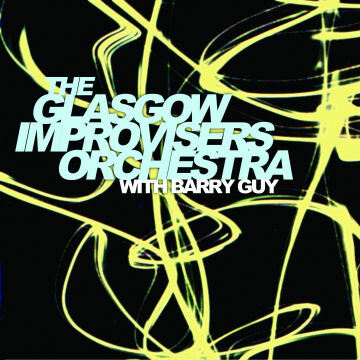 An exceptional live recording, that also features, along with some of Scotlands most gifted improvisers, top pianist Bill Wells and violinist Maya Homburger. This is an example of how successful a large ensemble of improvised musicians can actually be. Kenneth Broom (ts), George Burt (g), Matthew Cairns (ct), Richard Craig (fl), Tom Crossley (g), Neil Davidson (g), Peter Dowling (as), Nick Fells (shakuhachi), Robert Henderson (t), Giles Lamb (p), George Lyle (db), Raymond MacDonald (as/ss), Una MacGlone (db), Alexander Neilson (d), Peter Nicholson (cello), Daniel Padden (p, clt & perc), Emma Roche (fl), Matthew Studdert-Kennedy (fl), Evan Parker (ts/ss), Christoph Reiserer (ss), Graeme Wilson (ts) Yet more evidence of Glasgow’s glowing improv scene is here in the form of the first release from The Glasgow Improvising Orchestra. 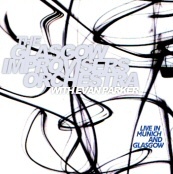 These live recordings performed at The Einstein, Munich (with special guests including the sax maestro Evan Parker) and The Centre for Contemporary Arts, Glasgow is a wonderful example of large scale improv at its best. arttfical life 2007 3 tracks were recorded at the CCA ib Glasgow in early Dec 2012 and was produced by Una Macglone and one of the saxophonists with the band Raymond Macdonald GIO (Glasgow Improvisers Orchestra) have not thoroughly established them selves as one of the most interesting and creative large improvisin ensembles in the UK, and had done man collaborations with great improvisers across the globe GIO first worked with Geroge Lewis in 2003 This new version of George Lewis’s Artificial Life 2007 was recorded at Glasgow Improvisers Orchestra’s tenth-anniversary festival in 2012. The innovative US trombonist and composer’s score is a set of instructions, presented graphically on a grid, which the musicians respond to as they see fit. When, what and how to play is up to them, unless indicated otherwise. The result is an extremely detailed music, based on textural rather than harmonic or rhythmic development.